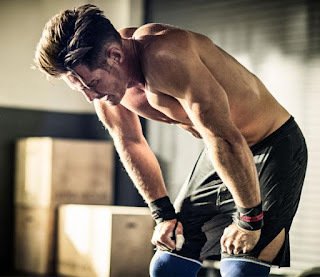 Have you trained at maximum intensity every session for the last few months, ate perfectly and rested what you thought was enough but still felt weak, tired and unfit with high body fat levels? If this describes you then you are probably overtraining. The bottom line in sports conditioning and fitness training is stress, not mental stress, but adaptive body stress. Athletes must put their bodies under a certain amount of stress to increase physical capabilities. Where the stress loads are appropriate then the athlete's performance will improve but if the stress loads are inappropriate then a state of over-training/burnout could come about for the athlete. Athletes and gym goers turn to bodybuilding supplements like amino acids, pre-workouts, whey protein and more to overcome the potential feeling of overtraining. Ultimately, you need to identify the main cause and see if you are really overtraining. Close observation can help eliminate the possibility of serious effects of over-stressing. As soon as symptoms are noticed, loading should be reduced and recovery pursued. All performance checks and competition pressures must be removed and active recovery put in their place. If you do what you’ve always done then you’ll get what you’ve always got. As human beings, we are conditioned to fear change but without change, we will never grow. 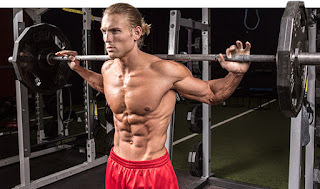 This is the same within resistance training. If you don’t change your habits and behavior, not only will homeostasis kick in so your body adapts which will halt progress but you will never improve because your habits and behavior will be the same day in, day out. People are forever saying that practice makes perfect but I couldn’t disagree more. Practice with perfect knowledge of results makes perfect. Anyone can practice something a million times but if they are doing it the wrong way then they will never reach the state of ultimate mastery. Think of it like playing the piano. You can play the piano all day every day and learn the most difficult songs ever written but if the piano has not been tuned properly then it will never sound as it should. Knowing your body and knowing its physical limitations will enable you to be the best athlete you can be. Never take advice from someone else on overtraining because everyone’s body is different. Some people can train twice a day for 6 days a week and never over train but others only need to train for 4 sessions a week at 1 hour at a time before they reach a state of complete exhaustion. Ensuring that your body recovers from overtraining correctly is vital in order for your body to get back to its natural state so that you can get up, carry on and keep going. In order for your body to recover it needs to be given vital nutrients. In terms of feeding your body, this one simple thing you can do is to have enough Whey Protein, as it's high protein content feeds your muscles, contributing to their growth and maintenance. As you can see, there are many contributing factors to over training and most of them actually have nothing to do with the frequency or amount of time that you are in the gym. You will only make regular and steady progress once you have created the perfect condition for you to grow. Think of a plant, without the correct conditions, photosynthesis cannot take place and the plant will die. Your body is very similar, if you place large amounts of stress on your body in every area of your life then how can you ever expect your body to perform at optimum level? How often do you see these guys in the gym who train hard all week then go out drinking alcohol, taking drugs, eating bad food and deprive themselves of sleep all weekend then complain that they never see the same gains as the guy who stays in all weekend, sleeps plenty and sticks to his diet? They are simply undoing all of the hard work they attempt to create during the week. Think of life as a percentage, if I spent 90% of my time sticking to the plan and you spend 60% then I have an advantage of 30%. It’s a pretty simple principle when you really think about it. I guess by now you are probably wondering how and why should you avoid over training!? To simplify things a little, you need to take control of your life and have a clear understanding of your actions and decisions. The more control you have over these then the more you can implement the necessary changes to avoid overtraining. Some like to keep a log or diary, I prefer to develop a routine that fits around daily life. That way it’s easy to memorize and becomes second nature after a while. It is then simply a process of elimination because if I feel I am overtraining, I simply eliminate any negativity or stress indicators that may be causing the overtraining or fatigue. For example, if on a Wednesday I have a late night which leads to me feeling exhausted all day on Thursday, I will simply miss training and train on Friday instead because I wouldn’t want to lower the intensity of my work out by 40% just because I feel tired and lethargic. You should always remember that you are most vulnerable when you create a weak environment / state of mind so by eliminating this risk factor and resting, you assist your body in making the necessary changes to function at optimum level again. Always try to recognize the warning signs of overtraining, it’s important to objectively measure your training routine and make adjustments before you wind up sick or injured.